Saturday Light Dinner | Food It Yourself! 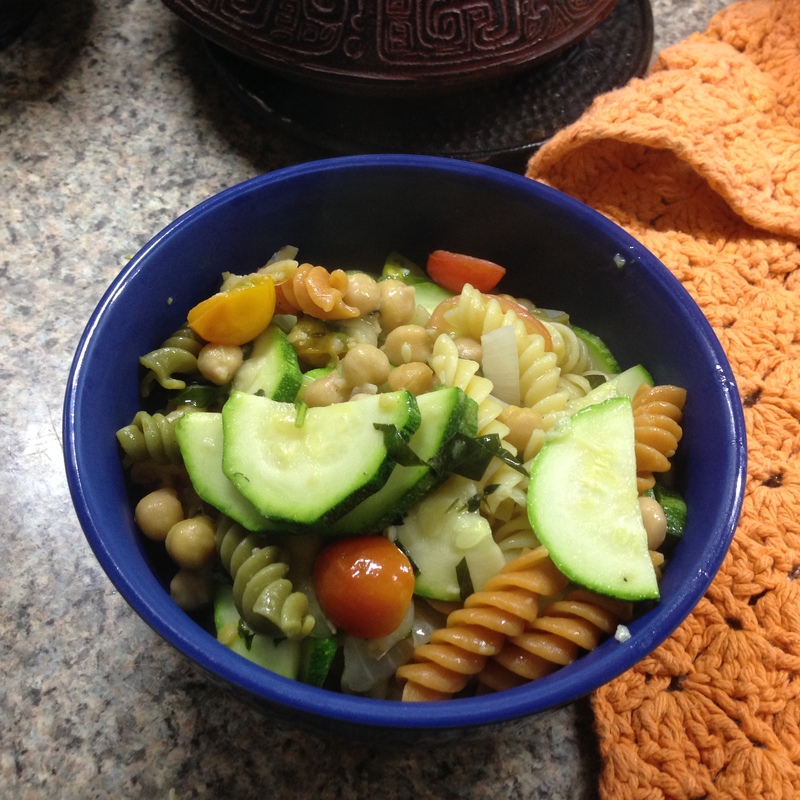 To celebrate, I made a delicious, light dinner using not only my super-fresh zucchini but also a handful of cherry tomatoes I picked yesterday and today and some freshly picked herbs. Observe the super simple process. I started with my trusty huge cast iron skillet. I melted two tablespoons of butter over medium heat and added about the same amount of olive oil. 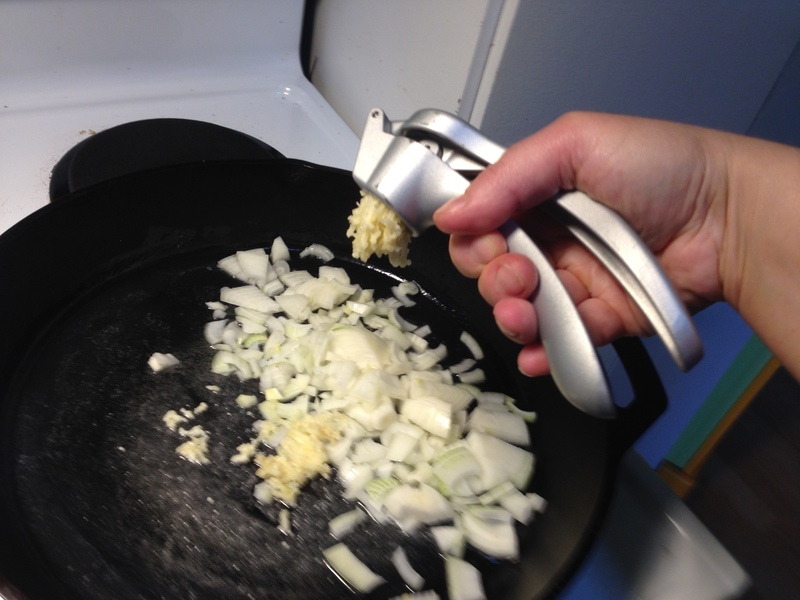 Then I sweated out a diced onion and some minced garlic with a little salt. I do not use the garlic mincer often, but I like how the teeny little garlic fragments stick to pasta. Yes, there will be pasta. 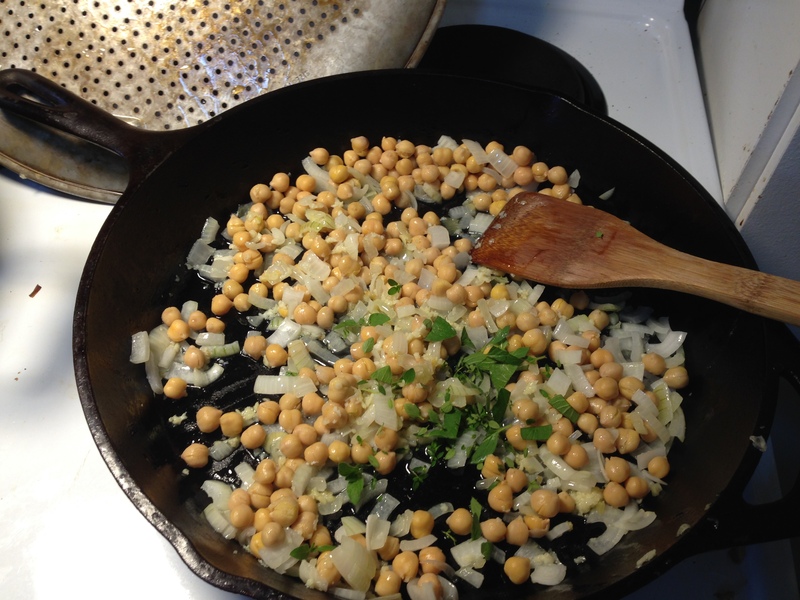 After the onion was sweated out I added a can of chick peas (drained and rinsed), some fresh thyme, fresh oregano and a few grinds of black pepper. 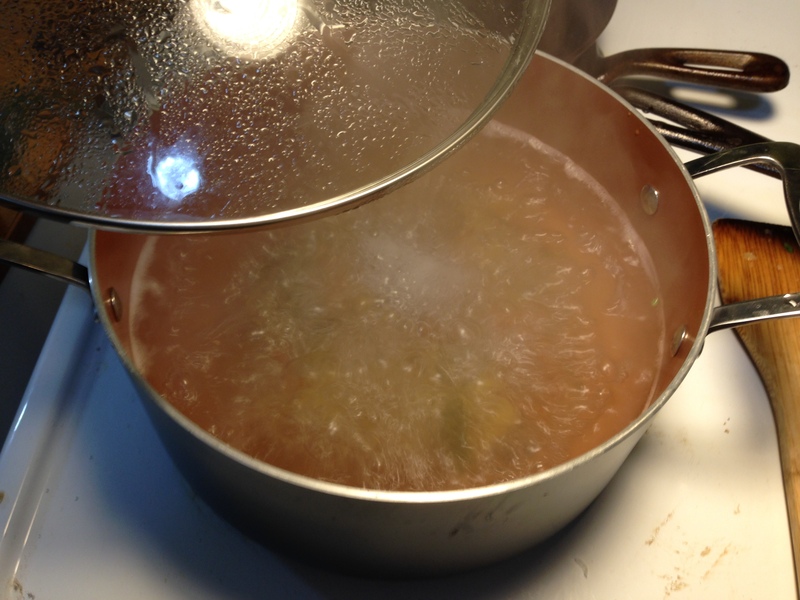 six ounces of tri-color rotini sat at a rolling boil in salted water for eight minutes. That might not be as long as you usually cook your rotini. Trust me, though you want the pasta a little under done. After a quick draining, the rotini, the cherry tomatoes (halved) and some ripped-up fresh basil leaves made their way into the Cast Iron Skillet. I gave it all about five minutes to get itself together under the lid. I stirred it a few times. Here is dinner. Mr. Food It Yourself and I enjoyed it very much, although he added some mayo and sriracha to his bowl for a bit of richness. I love eating food I grow. I especially love eating a meal I can grow the majority of the ingredients for. What home-grown goodness are you currently working in to your DIYet? Share in the comments!